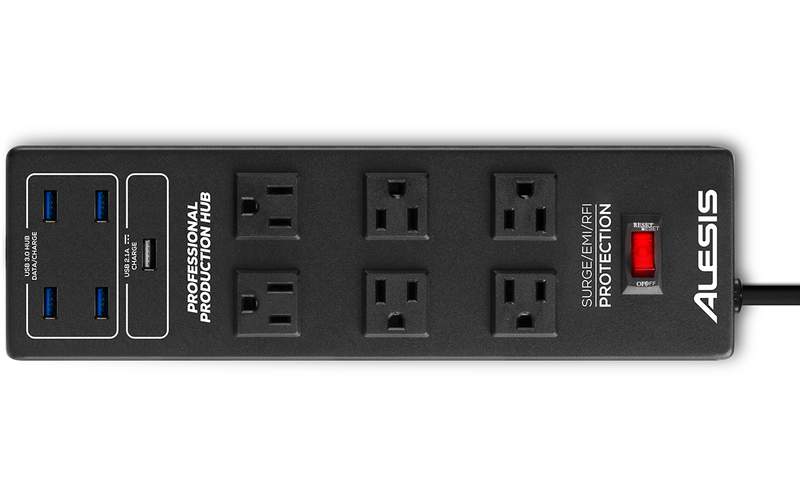 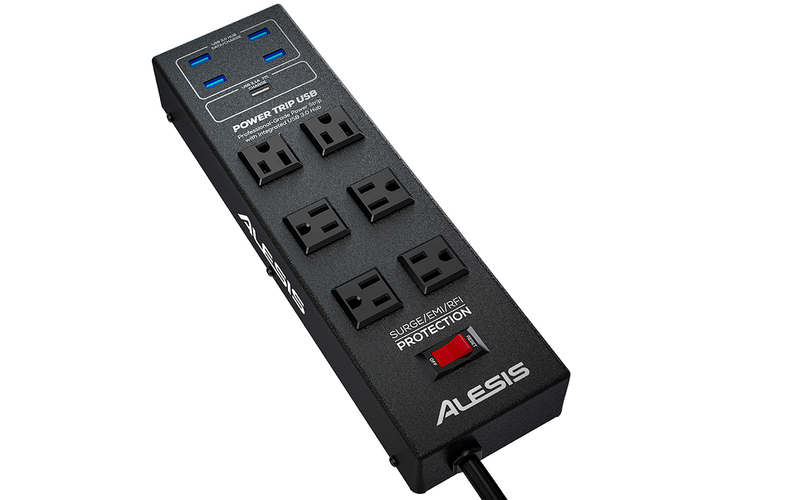 The Alesis PowerTrip USB is a versatile 6-outlet power strip with an integrated 4-port USB 3.0 hub that enables you to power all your equipment and connect your USB devices to your computer—saving valuable space where you need it the most. 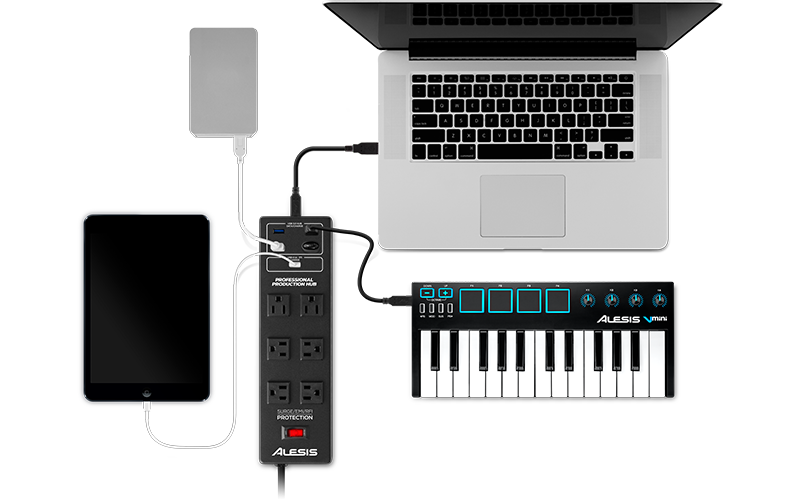 Whether recording in your home studio or performing live on stage, keeping your workspace organized and uncluttered is critical so you can maintain your focus and create. 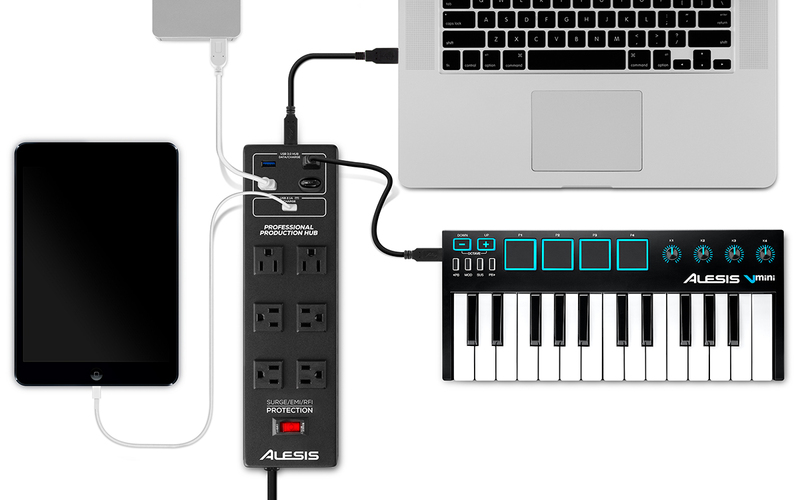 Connect up to 4 USB devices, such as audio interfaces, USB-MIDI keyboard controllers, drum modules, external hard drives, mice, and more—all with just one USB cable running to your computer. 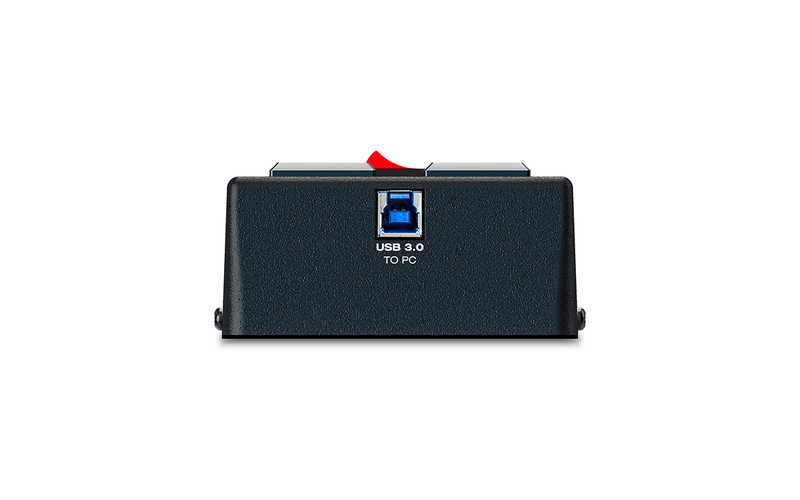 This hub works with high-speed USB 3.0 devices, and it is also backwards-compatible with USB 2.0 and USB 1.1 devices. 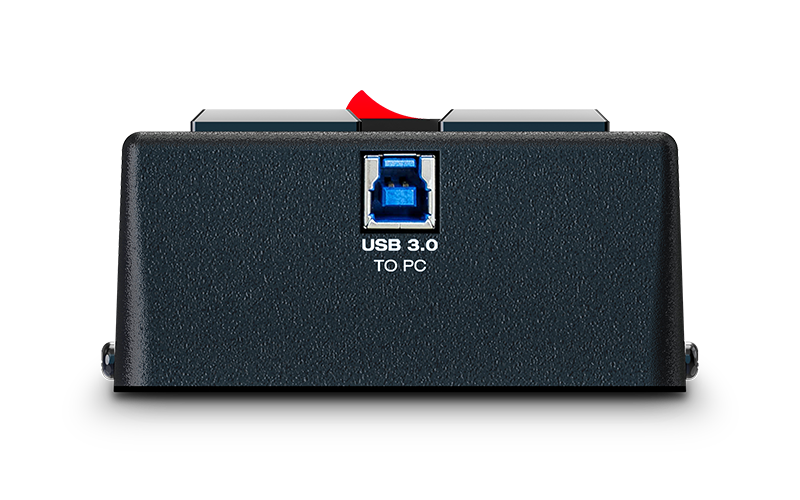 There is also a dedicated 5V 2.1A charging port to charge your phone or tablet quickly and conveniently.